Pump some power into your campaigns and emerge victorious in the marketing arena, by using the Apt Power Kit with UL Certified 4400 mAh Power Bank. Its 4400mAh battery makes it convenient to charge your portable electronic devices. 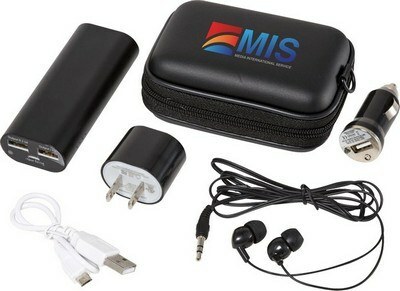 It can be fully recharged within 4 to 6 hours by using the micro USB cable that comes along with the pack. The kit’s contents come packed in a black EVA carrying case that can be easily stored in your back pocket, bag, or suitcase. 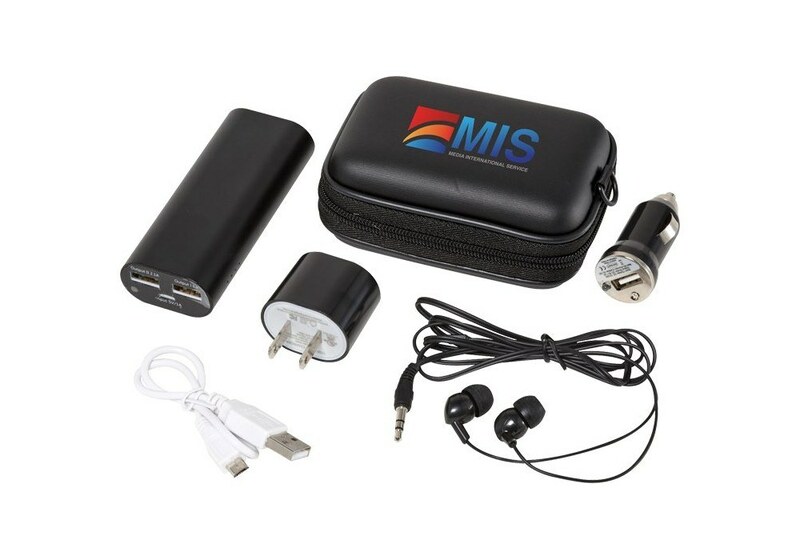 Emblazon your company’s logo on the power kit; gift it to potential clients and new employees and highlight your brand above the competitors.